Element of terrain, reproducing small building. These elements may be used for a miniature wargames. 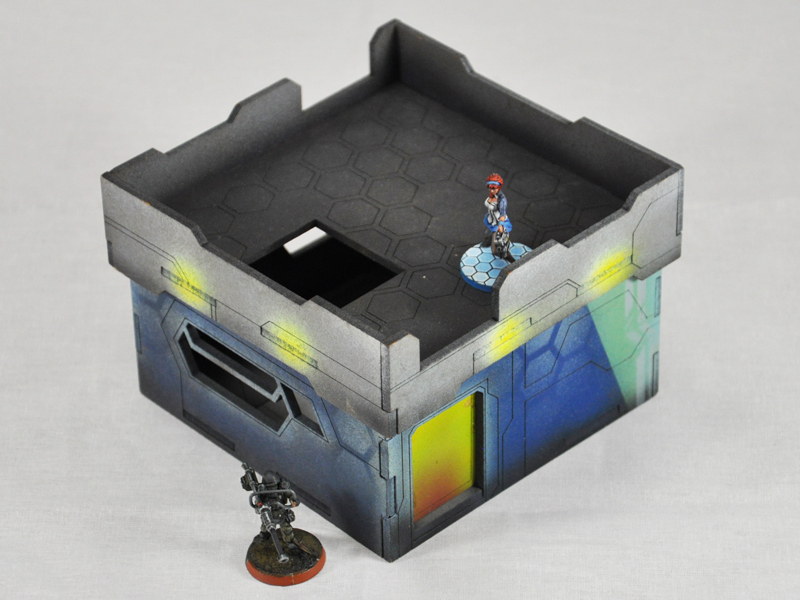 High sideboards on rooftop and ladder provides cover for your miniatures. Roof or entire floor can be easily removed then moving figures inside of building. Special cuts on roof sideboards allows you to use building extensions, such as extra ladders or platforms. Inside building, ladders and hatches system allows your miniatures to move upstairs and downstairs, even if you using several sets as one building. Building’s windows not allows drawing LOS through entire building. Doors opens by sliding to side, and you would not miss them, because they assembled to building wall. This element fully compatible to other “building” elements, so you can build a tower block if you need to.